An example of applying supply chain analytics to right-sizing inbound materials inventory levels for a complex job shop manufacturing process. An in-depth case study sheet is also available for download here. The main concern of this manufacturing business was high investment in inbound materials. The manufacturing process was a complex job shop environment in which the material requirements were perceived not to follow clear patterns and trends. The situation was complicated by the high number of materials, and that some of the materials were reworked to become intermediate components that were also stored as inventory. There was also a broad range of lead-time length for the inbound materials. The challenge was to identify inventory reduction opportunities. SupplyVue was used to map the complicated flows of information and data across the supply chain. 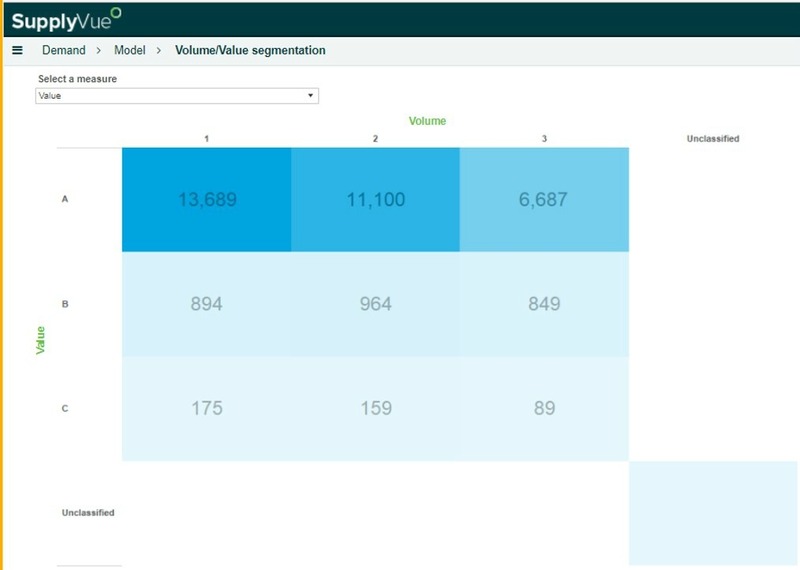 Once mapped, the demand profiles for the inbound and component materials were analysed and segmented into a 36 box model. Each segment was isolated and the information flow to suppliers, the resulting supply together with the resulting inventory was examined to identify the causes of high inventory and also to propose appropriate supply processes and parameters for each segment. The inventory levels for the inbound materials were extremely high. The demand profiles for the main throughput products were extremely stable and predictable at the weekly level, lead-times and Minimum Order Quantity for all products were 3 weeks or less and could be relied upon. Recalculation of the inventory holding policies based on the demand profiles delivered an inventory reduction of approximately 80% for the A1 smooth segment. This is deliverable by simply amending the MRP parameters and inventory holding policy parameters in the MRP system. 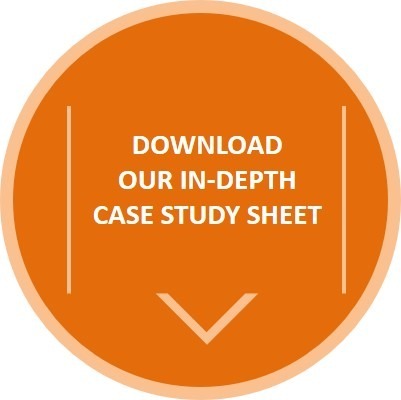 For more information on how SupplyVue was applied to optimise inbound material inventory levels, download our detailed Case Study Sheet here.